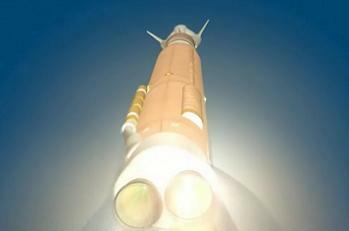 The United Launch Alliance (ULA) have completed a major review into the ability to Human Rate the Atlas V launch vehicle. In cooperation with NASA, ULA engineers conducted a System Requirements Review (SRR) and Systems Design Review (SDR), creating the certification baseline to launch NASA astronauts into Low Earth Orbit via Atlas V’s various crewed spacecraft options. ULA are one of the favorites to provide launch services for several crewed spacecraft that are currently working under the Commercial Crew Development (CCDev) process, with the ultimate aim of winning a NASA contract to provide domestic crew access to the International Space Station (ISS). The Altas V is the launch vehicle of choice for three of the commercial crew competitors – Sierra Nevada Corporation’s Dream Chaser, Boeing’s CST-100 and initially Blue Origin’s biconic-shape capsule – with a downselect of the suitors expected within the very near future. The official effort to begin the process of certifying Atlas V for human missions began in 2010, when NASA awarded ULA $6.7 million to accompany its own $1.3 million investment to develop an Emergency Detection System (EDS) prototype test bed. The EDS will monitor critical launch vehicle and spacecraft systems and issue status, warning and abort commands to crew during their mission to LEO. 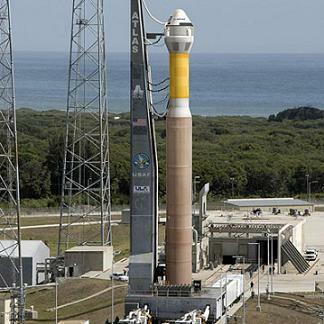 The EDS is the sole significant element necessary for flight safety, in order to meet the certification requirements for Atlas V’s human space flight capability, a certification ULA were always confident of acquiring. 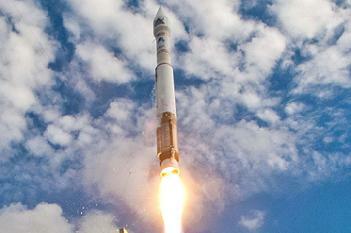 ULA then signed a Space Act Agreement (SAA) with NASA almost a year ago to the day, allowing for a major performance milestone, known as the Design Equivalency Review (DER) – a rigorous assessment of the flight-proven Atlas V launch vehicle’s compliance with NASA human spaceflight requirements. To successfully complete the DER, NASA human spaceflight experts and ULA engineers worked over a span of several months to perform a detailed review of all NASA requirements and processes, and identified the extent to which the Atlas V meets those requirements. Other milestones included the Development of Hazard Analyses unique for human spaceflight, the Development of a Probabilistic Risk Assessment (PRA), the Documenting of Atlas V CTS (Crew Transportation System) certification baseline, and to then conduct the SRR. Thursday’s announcement confirmed the completion of what is the fifth milestone of its SAA process, with ULA’s Engineering Review Board confirming that Atlas V can readily comply with NASA’s stringent safety and performance requirements for human spaceflight, leading the way to develop a “safe, reliable and cost effective” Crew Transportation System (CTS). ULA note that the SRR and SDR reflected the culmination of on-going efforts involving ULA design and development engineers, NASA technical experts and representatives from ULA’s commercial spacecraft customers. The SRR/SDR was a multi-disciplined technical review that ensured the Atlas V system can proceed into the detailed design and development phase to provide launch services for NASA’s commercial human spaceflight needs. “The SRR/SDR were the result of an extensive effort with NASA and our commercial spacecraft partners during which we cooperatively established the baseline from which we will proceed into the detailed design and development phase of NASA’s Crew Transportation System,” said Dr. George Sowers, ULA’s vice president for Human Launch Services. With 31 successful missions spanning 10 years of operational service – along with the large responsibility of flying complex exploration missions, as well as critical Air Force and National Reconnaissance Office national security missions – ULA was able to provide a wealth of design implementation, detailed system and sub-system analysis, qualification, certification, and flight data leading up to and during the reviews. 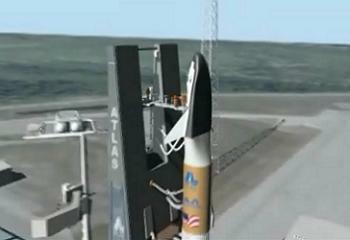 Among adjustments required to evolve the Atlas V for human spaceflight, designers would have to modify the launch pad so crew members can board the spacecraft. 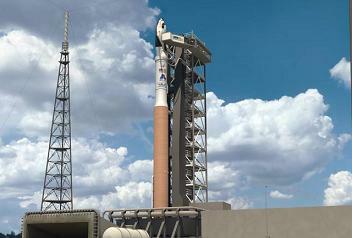 The upper stage of a crewed Atlas V would require the use of two Centaur engines, stronger than the current Atlas V upper stage that uses a single engine. ULA note the SRR confirmed that the NASA CTS requirements applicable to the Atlas V are defined and testable, and are consistent with cost, schedule, risk, technology readiness and other system constraints. The SRR assessed the unique impacts of human spaceflight requirements as captured in the system specification, and ensured that the system requirements are consistent with NASA’s needs and concept of operations.